Due in large part to the Panama Canal and a history of U.S. military presence, Panama has long been a country open to foreign visitors of many nations. I’ve been to Panama City, Panama a couple of times in the past and have found the people as friendly and welcoming as you will find in any country around the world. Should you be a lonely expatriate or traveler considering moving to or going to Panama for a stint, I highly recommend you give online dating a try due to the large pool of singles you will find on the top online dating sites that service the country. The sites that will be the most fruitful in Panama will be those same sites that are effective in other part of Latin America, such as Colombia and Peru. 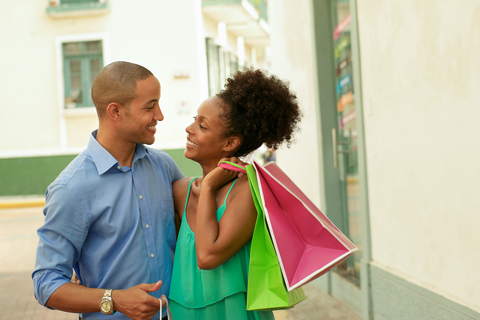 Without a doubt, the majority of Panamanians meet their romantic partners via the traditional methods of mutual friends, organizations, work, school, or church, etc; however, the tide will continue to shift towards online dating as time goes on. You can already notice the trend now with thousands of people in the cities of Panama City, San Miguelito, and David trying to find love online. Should you decide to sign up for the online dating sites I recommend below, be sure to read member profiles carefully as you might come across a lot of fake profiles. Usually, I can spot these profiles easily. A woman who has only one picture posted, is wearing a tight bikini and making an overly suggestive pose are usually clear signals to steer clear. Also look out for women who have next to nothing written on their profiles. Without further ado, here is the quick list of the top two dating sites in Panama. I’ll go into more detail in my reviews below. Panama appears to be up there with the Dominican Republic and Colombia in terms of sheer numbers of Latin American Cupid members. Latin American Cupid would be my main focal point for my dating search. 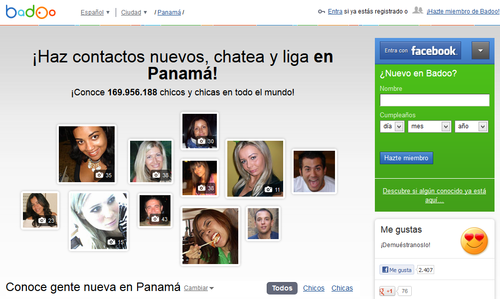 A simple search of women 21-35 who live in Panama will turn up more than 1000 legit profiles. The selection of women and men on this site is not near what you will find at the site I mention below, but for what you lack in numbers, you more than make up for in terms of quality. I’m also a big fan of the site’s interface and identity verification tool. Becoming a member of Latin American Cupid is a pain-free process. You only need to provide your email, password, name, and gender. 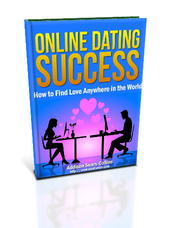 The fun part is writing about who you are, what you desire in a partner, and then you are all set. Completing your profile will take more of your time. While you take the time to complete your member profile, you may search through other members. You can filter your search for other members by ethnicity, location, age, body type, or zodiac sign. Latin American Cupid customizes matches just for you based on the specifications of your ideal partner. When browsing you can view by Basic, Profile, Photo, or Detail View. To create a more efficient search, sorting by Relevance, Last Active, Newest Members, or Photos First can prioritize potential matches. With the free membership, you are provided with basic messaging. This type of messaging allows you to freely communicate with premium members but leaves you with limited options for communication with Standard Members. Although, as a Standard Member, you may send interest, visit profiles, add favorites, and send locked messages, you are unable to actually converse. Although the member will be notified that you are showing interest, conversation cannot take place until one of the members has upgraded to a premium account. With a premium account, you will get what you pay for. Video, Audio, and IM Chat are included in messaging to ensure effective communication. Language barriers create missed connections, and Latin American Cupid strives to create more opportunities for connection. With only the click of a button, you are able to translate a message into any language. Since the majority of members do not speak fluent English, I am sure this feature will make you as happy as it made me. A massive worldwide online dating site launched in 2006, Badoo is an OK option for Panama. On face value, if you do a search of let’s say, women between 25 and 35 years old, you will turn up a lot of women in your search results. The problem with Badoo though is that you will have to weed through a lot of low quality profiles in order to locate real people. The quality is just not as good as you will find on Latin American Cupid although the selection is a lot larger. Because of my issues with the quality of profiles on Badoo, I would not focus on it as a starting point for my dating search. Badoo works on the “freemium” model, which means that it is free to sign up, but you have to pay for upgraded features. The site operates in over 180 countries, and is popular in Latin America and Europe. If you’re interested in signing up for Badoo, check out my in-depth review of this dating site over on my reviews of the best dating sites in the Dominican Republic. Hola, ¿Cómo estás? – Hi, how are you? ¿Cuál es su nombre? – What is your name? Yo soy de los Estados Unidos. – I am from the United States. ¿Qué te gusta hacer para divertirte? – What do you like to do for fun? ¿De verdad? – Oh really!? ¿Tienes hermanos o hermanas? – Do you have any brothers or sisters? Tu eres bonita. – You are really stunning. Me gustas mucho. – I like you a lot. Vamos a salir este fin de semana. – Let’s go out this weekend. ¿Estás libre a las 7 de la tarde? – Are you free at 7 o’clock? Qué bueno!! Gracias. – Cool! Thank you. ¡Qué genial! Hasta Luego. – Great! See you later.